I’ve been using BuzzSumo for quite a while, and am continually impressed with its features. It seriously packs a punch if you want to carry out content or influencer research, or set up real-time monitoring. 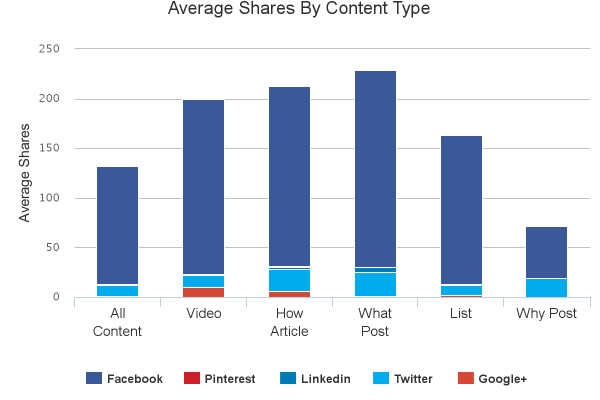 So, it’s no surprise that BuzzSumo is all the rage among content marketers. 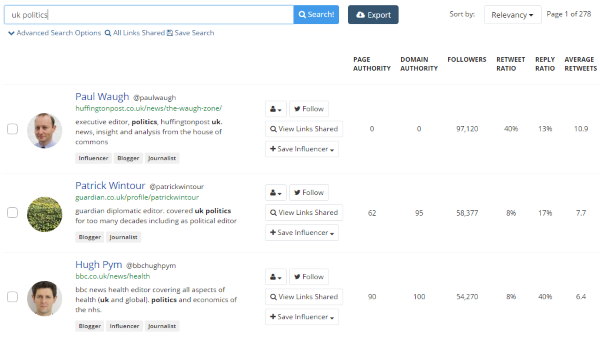 I’ve put BuzzSumo through the motions with some recently trending topics. Check out 5 features that should whet the appetite. 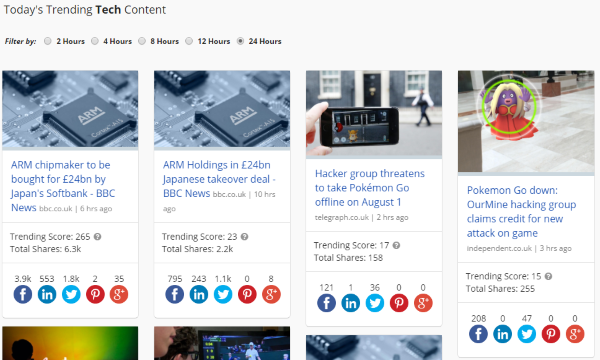 One of the most powerful features of BuzzSumo is its most shared content report. Add a topic, hit search and hey presto, you’ll be presented with the most shared content on Facebook, LinkedIn, Twitter, Google+, or an aggregate value of all channels. 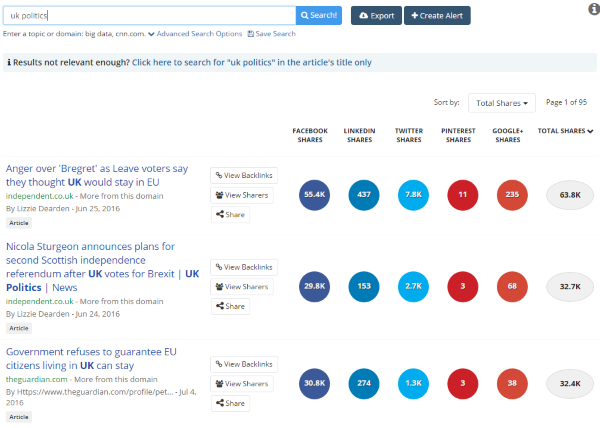 This kind of data is utterly invaluable when planning your editorial calendar, and need to better understand the content that engages audiences across the various key social channels. You’ll no doubt need to refine your query by date, language, location or time. But for me, the real power sits behind the ‘content type’ filter, as illustrated below. Need to understand what video content or infographics best serve the needs of your audiences? This filter will provide you with relevant intelligence. If you’re looking for a broader understanding of the content types that gain the most traction, BuzzSumo’s content analysis report will do just that. 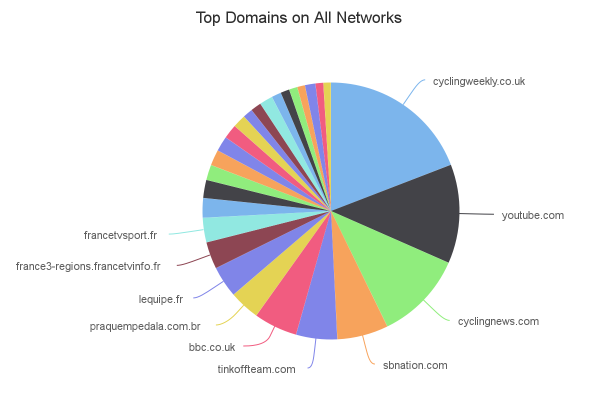 The examples below illustrate trends for the query “tour de france” – a trending topic at the moment. The power of this report is in its aggregating of content types rather than the specific subject matter. I’m a big fan of Google Trends, but of course, it’s limited to Google’s search products. 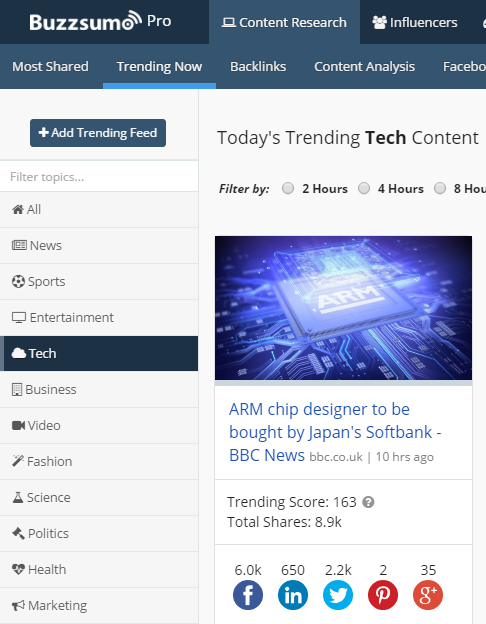 BuzzSumo neatly compliments Google Trends by reporting on stories trending across social channels. 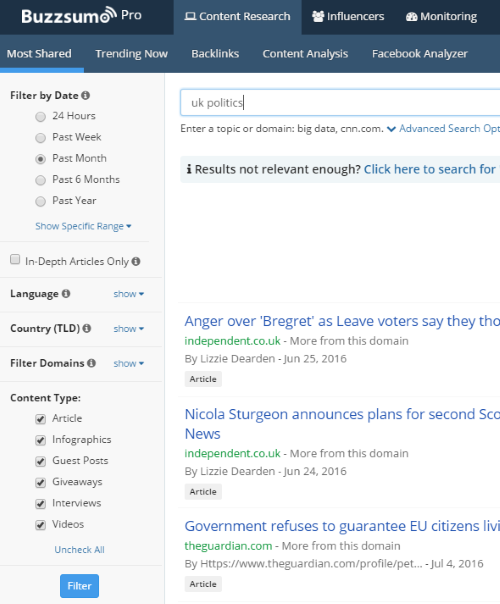 Filter by time or topic, or create your own trending feed by custom domain or topic. Hot on the tails of Moz’s FollowerWonk, BuzzSumo’s Twitter influencers report will help you find relevant Twitter users based on key data such as follower count and domain authority (where applicable). For me, the real value is finding Twitter influencers with a strong retweet or reply ratio, helping your influencer marketing campaigns. BuzzSumo makes it easy to set up outreach lists. Simply create your outreach list, and add influencers where applicable. Keyword, brand and competitor monitoring is nothing new to seasoned digital marketers. 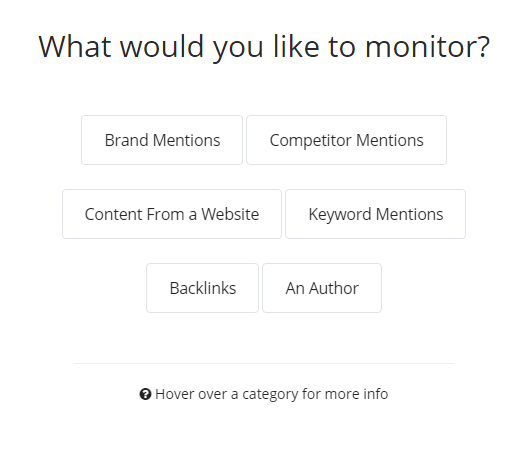 But the fact that monitoring is bundled into BuzzSumo’s list of tools, is simply icing on the cake. As you’d expect, you can create daily alerts of weekly digests, depending on whether real-time is necessary. If you have specific uses or BuzzSumo, I’d be interested to hear your experiences or anecdotes.